Chicken salad is underrated, but mostly because it's usually shredded af and bland. No more! Once you've had roasted chicken salad, you'll never want to go back. This recipe is an easy go-to, plus serving it on bibb lettuce means you get to enjoy more (and mayonnaise) without too much guilt. The almonds and pomegranate seeds add crunch and texture, while the dates add some sweetness. Once you get this recipe down, don't be afraid to switch it up. 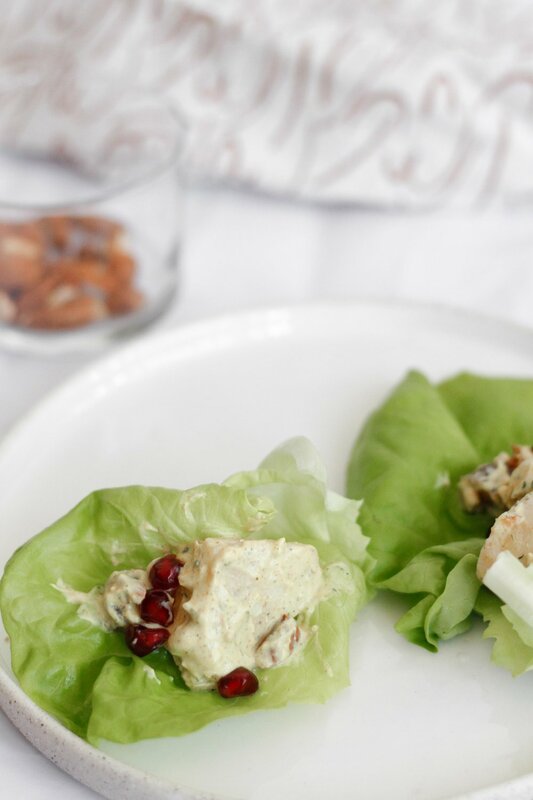 Add golden raisins instead of the dates, or try walnuts AND almonds in the chicken salad. Another fun combination would be dried cranberries and roasted turkey breast for a seasonal twist. However you dice it, this one is sure to become a new fave of yours!